The Kentucky Derby is tomorrow, which means it’s time to put on your fancy hats and enjoy some Southern food and drinks while watching the race! 1. Place 4 mint leaves in the bottom of a pre-chilled silver julep cup. Add the powdered sugar and a few drops of bourbon. 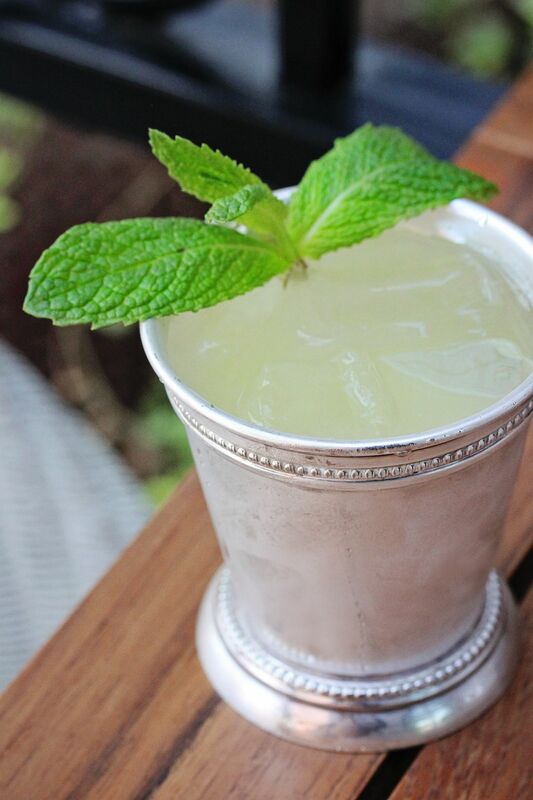 Using a muddler, muddle the mixture well to dissolve the sugar and release the oil and aroma of the mint. 2. Add the remaining bourbon and fill cup with crushed or cubed ice. 3. Stir well and garnish with the remaining mint leaves.